To help the weight loss, we did the Dr. Oz’s 48-Hour Weekend Cleanse http://www.doctoroz.com/videos/48-hour-weekend-cleanse. This is the breakfast. It tastes OK. I felt great during and after the cleanse and was 2lbs lighter in 48 hours. Actually, I still make this for breakfast, in advance and reheat in the morning. Hope you enjoy this high fibre and protein breakfast. 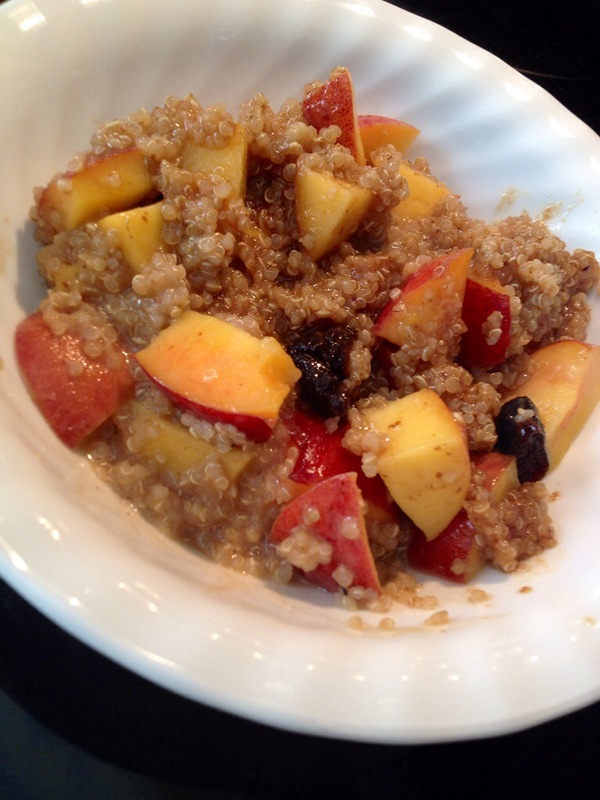 In a small pot, stir 1/2 cup quinoa, a pinch of nutmeg and 1 tsp of grated ginger into a cup of water. Bring to a boil. Reduce the heat, cover the pot and simmer for 10 minutes. Stir in the prunes and rice milk. Cover again and cook another 5 minutes. Before serving, stir in 1 tbsp of flaxseed oil. In a small pot, stir 1/2 cup quinoa, a pinch of nutmeg into a cup of water. 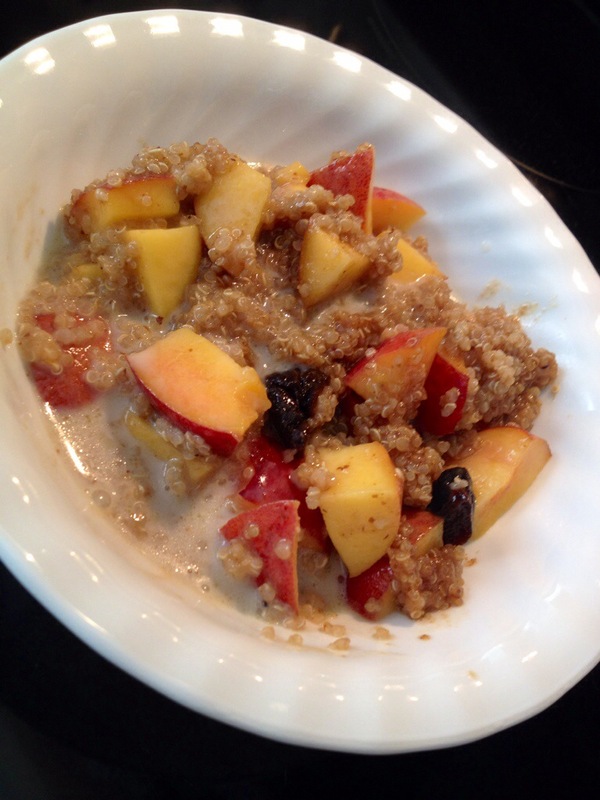 Stir in the prunes, peaches and vanilla almond milk. Cover again and cook another 5 minutes.